Adelaide Reggae Band 684 – Loosen up, feel good and relive world class reggae hit songs, groove and latino favourites from the must see Adelaide Reggae Band 684. Outstanding vocals and harmony with live percussions and guitar. Adelaide Reggae Band 684 has entertained audiences all over the world, specialising in corporate functions, gala dinners, major events, family day, dinner shows. Adelaide Reggae Band 684 is a trio that features vocals/timbales, guitar/vocals and djembe congas/vocals and have in excess of 20 years experience in the music industry. The trio is a multi cultural blend of Malaysia and Australia which brings an influence that has all the uniqueness that is Adelaide Reggae Band 684’s signature. 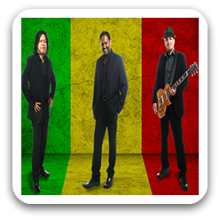 The trio’s core covers are from Bob Marley, UB40, Inner Circle, Toots and the Maytals, Paul Simon, the Specials and all popular songs in reggae style. Can perform as a: 3 Piece Band and are available to perform in Adelaide and Surrounding Areas.